admittedly, i've become such a snob. not because i don't love a good sale or turn my nose up at cheaper things because that is absolutely not the case. it's just that since i've become a mama, i don't have time to think about what to wear. 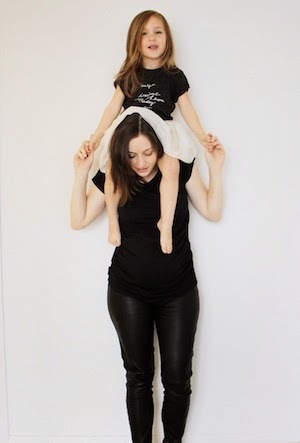 i like to spend time with my kid, rather than spend time in my closet. and, yes, i have a mom-iform. some may call it boring, sure. but i can guarantee that nobody has ever called black skinnies, tacky, or a structured blazer, cheap or gaudy. and because i believe in sticking to what works, what's timeless, and what will easily transition not only season-to-season but also from day-to-night, i believe that quality over quantity matters. as such, i just got these coated skinnies and can already think of a hundred different ways to wear them. so, here are two. 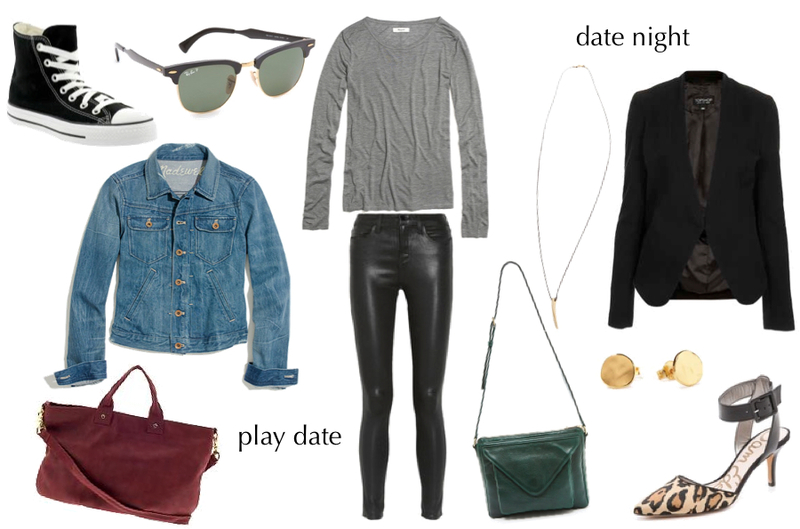 playground and date night approved. Quality over quantity everytime! These pants are fantastic - and I love how you've styled them. Love this, I've got a pair of shiny black skinnies like these and I wear them with everything!